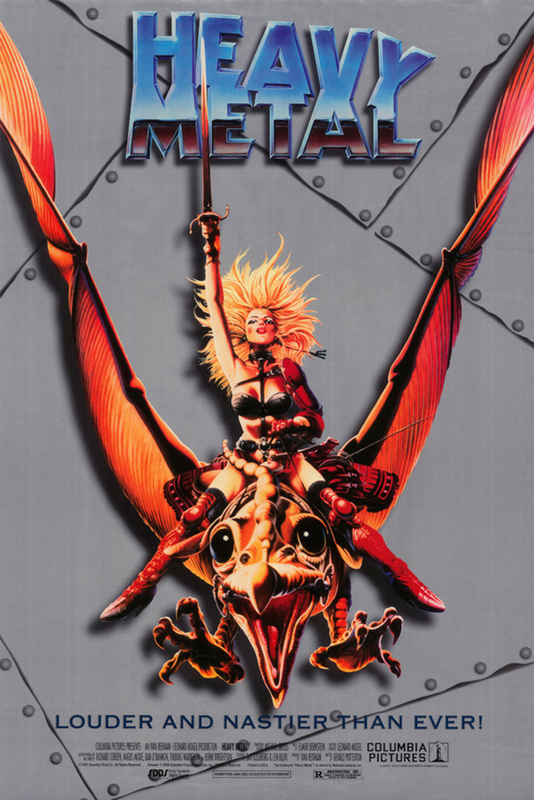 Heavy Metal (1981, USA/Canada) is a Animated cult film directed by Gerald Potterton. Produced by Vic Atkinson, John Coates, Michael C. Gross, John Halas, Jerry Hibbert, Peter Lebensold, Leonard Mogel, Lawrence Nesis, Ivan Reitman, W.H. Stevens Jr.
Columbia Pictures takes you beyond the future into a universe you've never seen before...... A universe of mystery. A universe of magic. A universe of sexual fantasies. A universe of awesome good. A universe of terrifying evil. This page was last modified on 20 December 2018, at 12:50.